And Hearst Magazine’s new Chief Content Officer also spills her latest failure — and how she overcame it. Kate Lewis is the new Chief Content Officer of Hearst Magazines, where she oversees content strategy across all of the company’s print and digital properties, including Cosmopolitan, Esquire, Good Housekeeping, and O, the Oprah Magazine. Here, she opens up about the unexpected place she goes to reset, and her hack for relentless prioritization. Kate Lewis: Well, before I even get out of bed I look at my phone. Then I check on my kids to make sure they are waking up. KL: Candy? Ha. Great conversations give me energy. TG: What daily habit or practice helps you thrive? KL: This may sound counterintuitive, but my subway rides. I spend about 35-45 minutes on a NYC subway twice a day and I love the anonymity of it; I get lost in whatever I am reading or listening to. No colleagues, no family, just me and a bunch of strangers. It’s a reset. KL: My favorite book is A. S. Byatt’s Possession. A mixture of a great Victorian tragedy and awkward modern lovers. But right now I am listening to Tina Brown’s Vanity Fair Diaries and I love every word! Her narration adds an extra level of fun. I worked there for about five years, right after Tina moved to the New Yorker, and many of the characters she describes are people I know well and worked with for such a long time. She is so spot-on in her funny descriptions of everyone. I am loving it. A time capsule. KL: Pretty nearby, yes. Bedside table. KL: Badly! I am very much converted to Slack and if you work with me and you want to reach me, you will Slack me. If you are my friend or family and you want to reach me, you must text. TG: How do you prioritize when you have an overwhelming amount to do? KL: Over the years I have kept lists in every which way — expensive notebooks (my current MO), cheap notebooks, tabbed notebooks, online note-taking tools, apps, etc. I abandon them all. I suppose I have a strong belief that things will get done in time; either I will be ahead of the game or I will get it done at the last minute. I am not known for missing deadlines or leaving things undone, I think, so far in life this haphazard method is working. Although it’s taken me a couple of weeks to answer this questionnaire! KL: In the winter, I will work on a puzzle. In the summer, I will find a spot where sun can shine on me. KL: Because I have started a new job, just a couple of months in, I am filled with complete excitement about it every day. There’s so much novelty and so many new people to talk to and new things to think about that burnout feels very remote. That said, I had to buy a last-minute (so much for my note above about how things happen when they need to!) garment bag for an upcoming trip and I went to a nearby luggage store and stared at all the varieties and all the colors and all the weights and all the pockets and it was so overwhelming. I turned around and went home. Is retail burnout a thing? Luckily the Away folks sent me something the next day and rescued me. KL: I recently had to do a presentation for a small group of people and I did not prepare thoroughly — hadn’t done research on who my audience was, and though I’d written a script I hadn’t read it through enough or even at all. I fell flat. The crowd was not super energetic, but usually I can work with that. This time I just stumbled. So I quit! It was much better to wrap my whole section early than to draw it out. Important to remember that even for the small more casual things, you need to ready yourself. 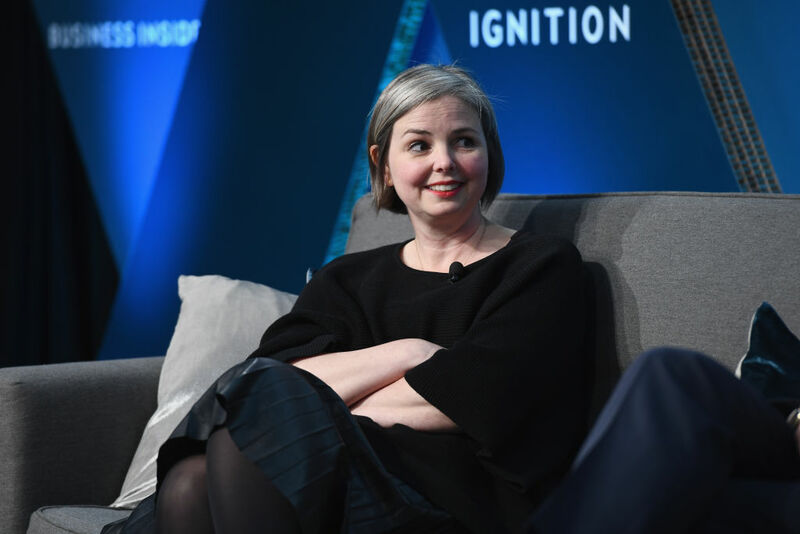 Kate Lewis is chief content officer of Hearst Magazines, one of the world’s largest publishers of monthly magazines, with more than 300 international editions and 25 U.S brands in print. In this role, Lewis directs content strategy for Hearst Magazines brands across print and digital, overseeing all editors-in-chief and digital directors.